“Only One Promise” by Mark Jespersen. © 2015 Mark Jespersen. Published with permission. All rights reserved. An excerpt from the author’s manuscript, Only One Promise, in response to the attacks in Paris on November 13, 2015. “If you have traveled abroad for months, in solitude, and have then spent twenty-odd nights lying awake in your ship’s cabin, where the porthole cuts out a circle of sea water, changed at will by the weather at dawn, and then to hear, at last, while buckling your suitcase, the mooring lines fall on a dock at Marseille or Saint-Nazaire, then and only then can you know what joy swells the heart at the thought that one is going to rediscover Paris. Paris! Leaning against the brass handrail in the express-train corridor, I always waited for your arrival, like that of a woman on a first date. Only One Promise is my first book. The story is true. It emerged from eight letters written in 1926 that my wife bought from a lady with one tooth at a flea market in the south of France. This is the story of two remarkable people who lived and loved in the milieu of Paris between the wars and during the dark days of the Occupation. It’s also our story, two naïve Americans in France who bought a 700-year-old house and then, through a handful of old love letters written in a language we couldn’t read, had the time of our lives experiencing the joie de vivre that can still be found there … if you are willing to take the time to find it. 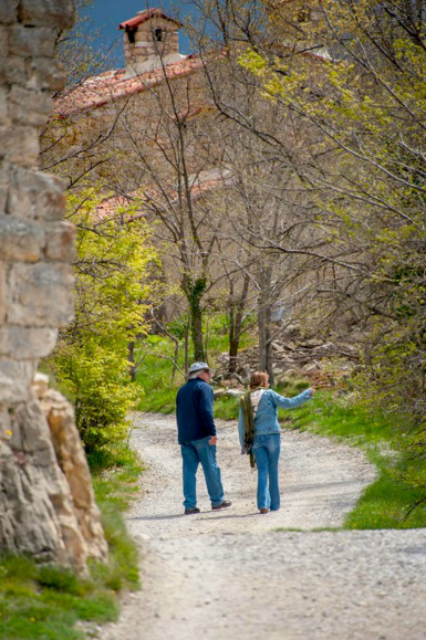 Photo caption: Mark and Kim Jespersen near their home in Seillans, France. How horrible the terrorist attacks on Paris on the 13th of November, 2015! We offer our sincere condolences to Paris. 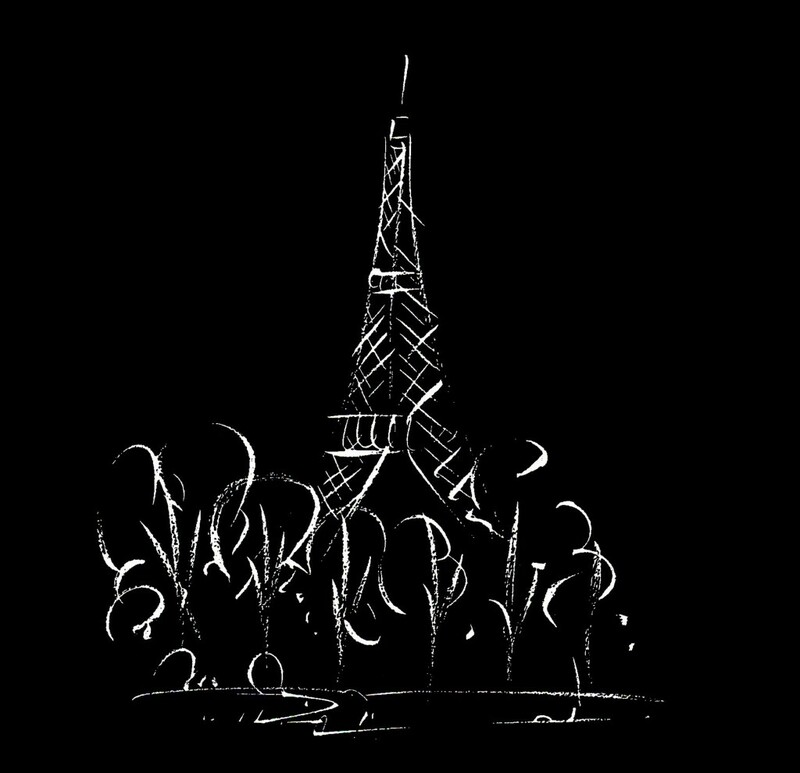 Our heart goes out to those who have suffered in Paris and communities worldwide; we are deeply saddened by the loss. Liberté, égalité, fraternité “liberty, equality, fraternity,” is the national motto of France and the Republic of Haiti. How true this is to our experiences with French friends, expatriates and colleagues living in France, and people from around the world. Take care. Be well. Tell us that you and your family and friends are safe. Text copyright ©2015 Mark Jespersen. All rights reserved. Wow! These letters and Mark’s writing are destined for history and destined to be beloved classics. I can’t wait to read the entire story. Thanks for featuring this in the face of so much despair. Leave a reply on "“Only One Promise” – Eight love letters from France (1926)"